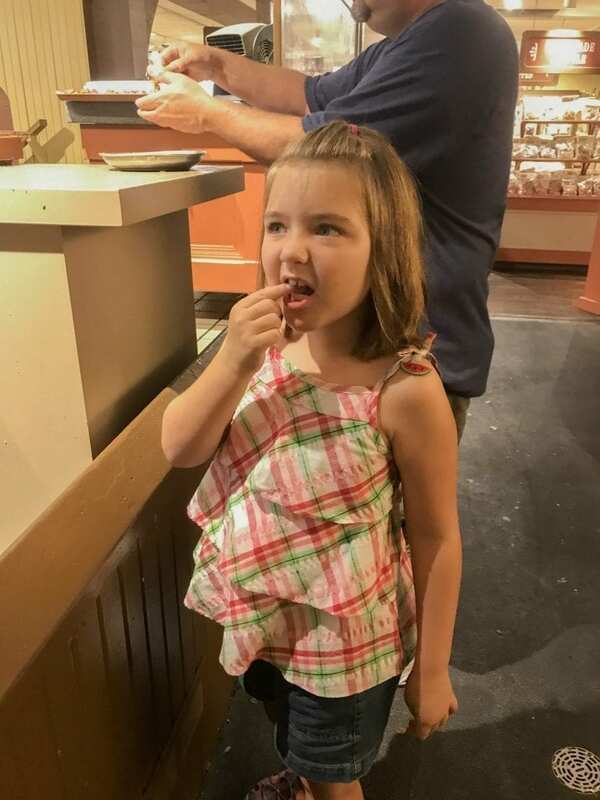 I’d like to thank Silver Dollar City for sponsoring our recent visit. We have been many times, and we truly love this park. My husband and I were even married here in 2005. As usual, all opinions are honest and my own. 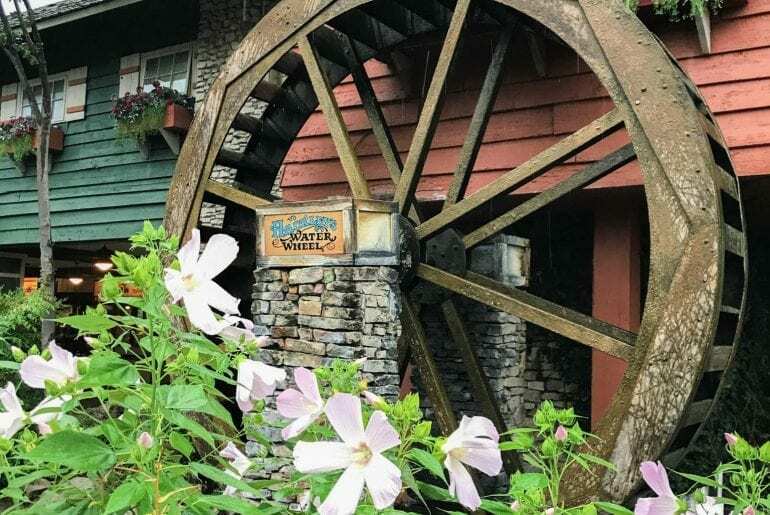 No trip to Branson is complete without a visit to Silver Dollar City, an 1880s theme park nestled among the Ozark Mountains in southwest Missouri. Though there are plenty of thrill rides, this park offers so much more than your typical amusement park. In fact, you can have a fabulous visit and never set foot on a roller coaster or any other ride. 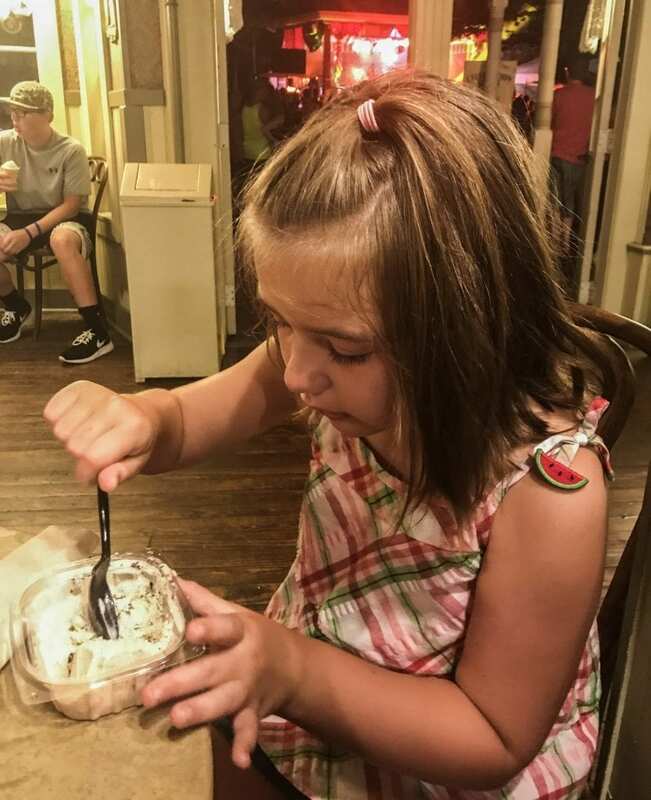 That’s what makes Silver Dollar City so special. 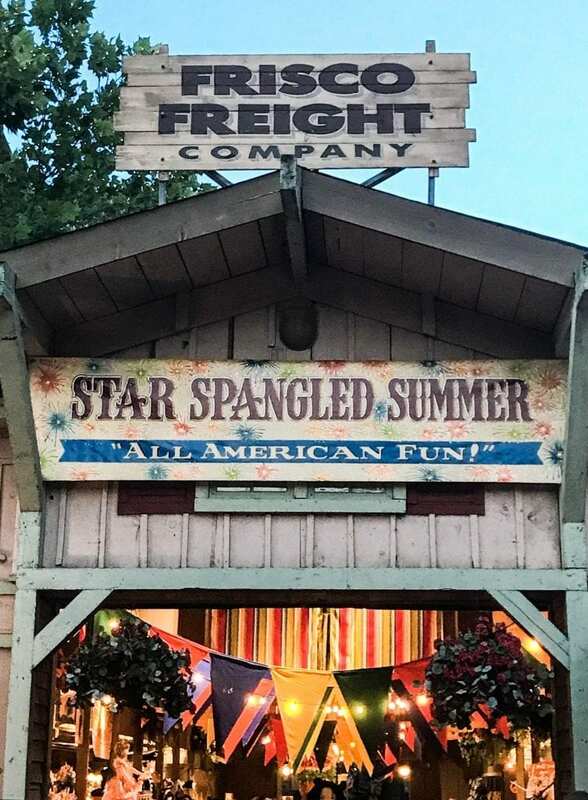 Silver Dollar City now has many great activities for every season, but summertime is the traditional time to visit the park. When I look back at my childhood memories, I have visions of the hot sun and riding water rides until evening. 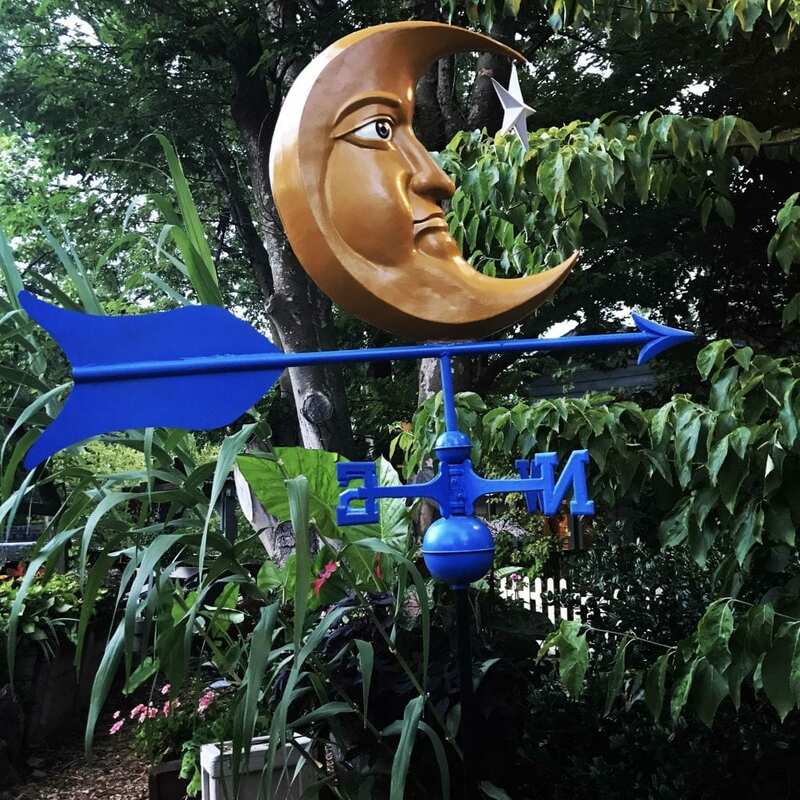 For the past few years during summer, Silver Dollar City has added a small festival called Moonlight Madness in which the park is open past dark to offer more ride time and extras like fireworks and dance parties. On select Saturdays, the park is open until midnight! 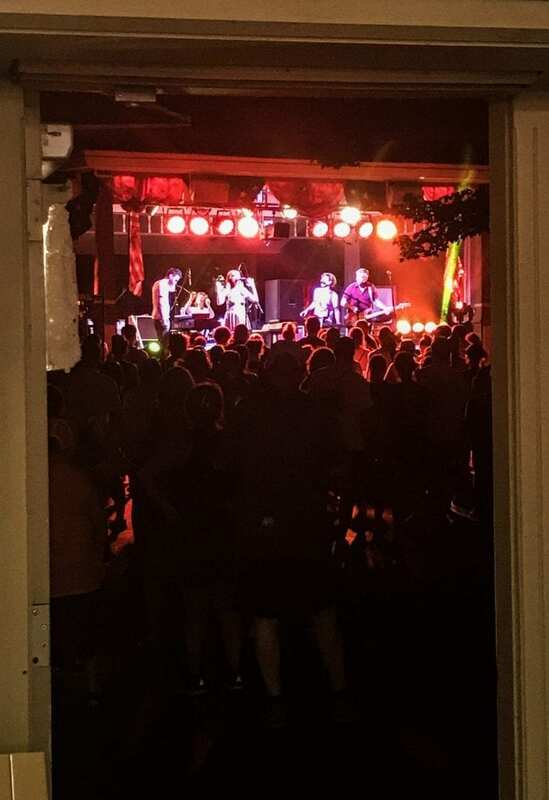 Talk about Ozark nightlife! Our recent visit occurred during Moonlight Madness. We arrived before opening on a rainy morning in July. Arriving before opening is a solid piece of advice for any theme park or major attraction. 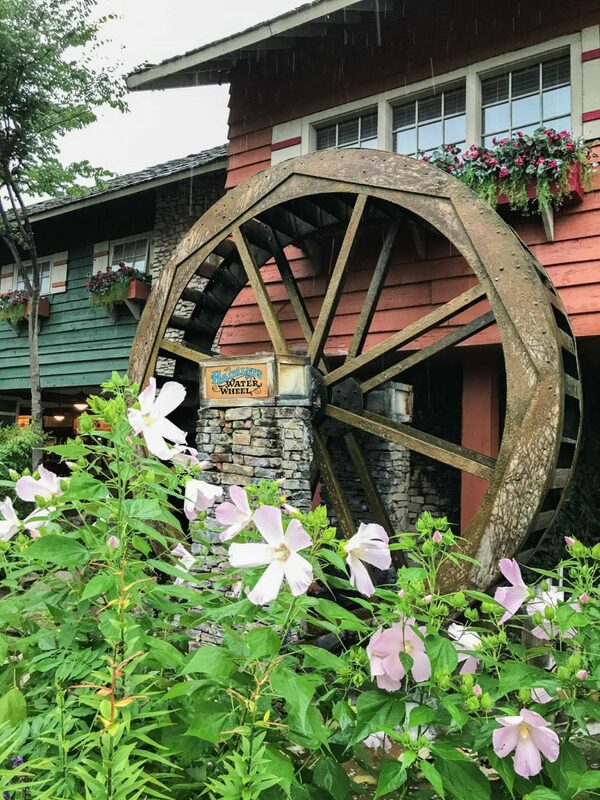 If you can swing it, you’ll beat the crowds who have to hit the breakfast buffet in town or sleep in because “dang it, we’re on vacation.” You can enjoy a pre-park breakfast buffet in the park at the Mill Restuarant, so if that buffet is important, plan to do it in the park and you’ll already be inside. 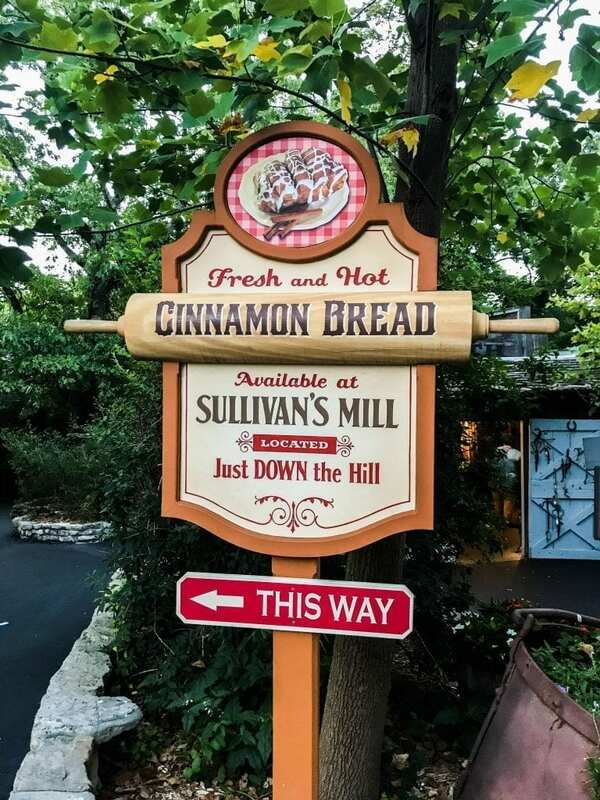 It’s also worth noting that Eva and Delilah’s Bakery is just inside the entrance serving fresh, warm cinnamon rolls, so go ahead and hit the park early. You’ll be able to find breakfast. It had been raining for awhile before we arrived, and it didn’t look like it was going to stop anytime soon. We usually don’t let a little rain slow us down; we’re Walt Disney World vets, after all. The rain really worked out in our favor. If it rains during your trip, my advice is to grab an umbrella or don your poncho because you’ll probably encounter very low crowds like we did. 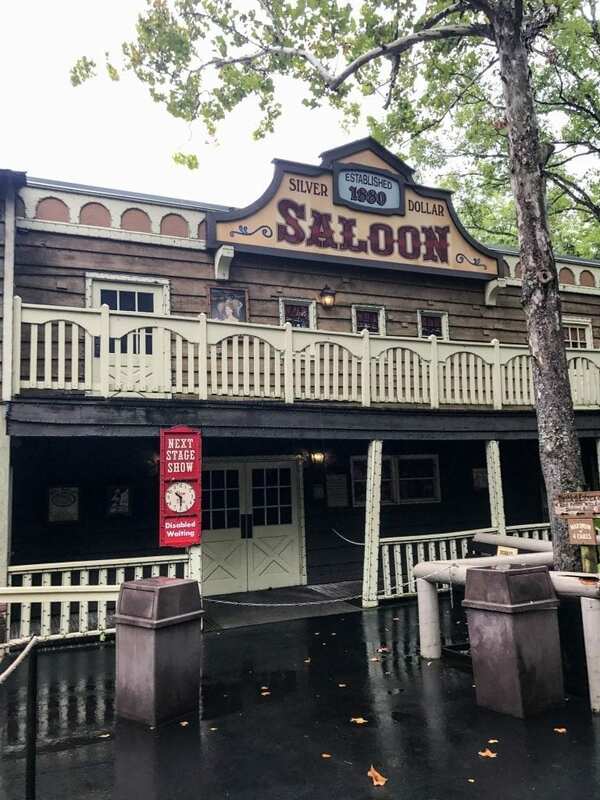 If you arrive early enough, you’ll get to witness the opening ceremony at Silver Dollar City. Apparently, if it’s raining, there is no ceremony. 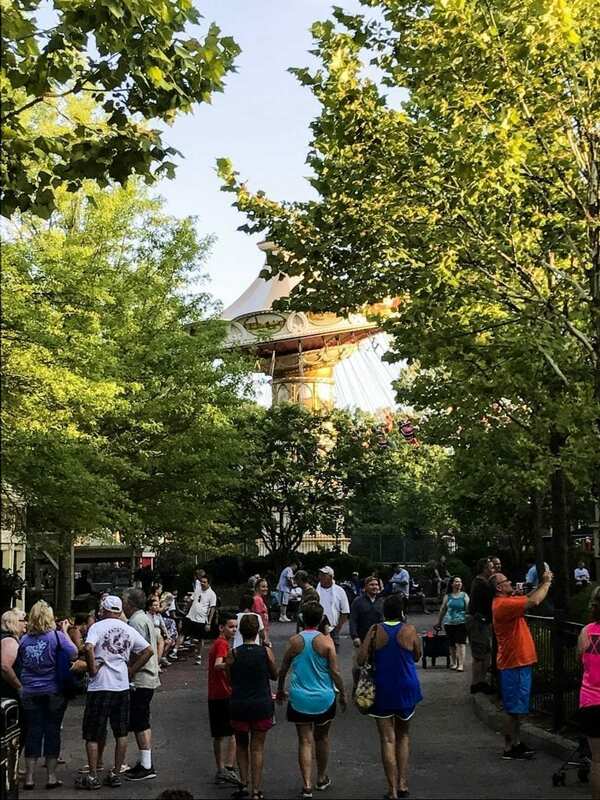 You can wander the square before the rest of the park is open. The general store is open ahead of time. If you have kids, check out the toys. Apparently, pop guns require a lot of concentration. Plus, you’ll notice, we can’t resist trying on hats. We haven’t returned from a trip with lice yet, but I’m sure it’s in the cards for my family at some point. 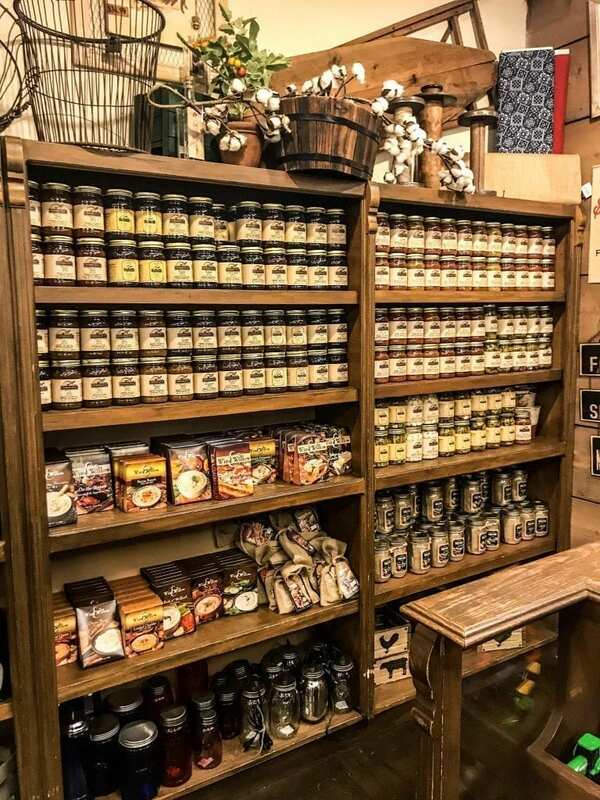 I also love the wall of preserves in this store. As soon as the park was open, we decided to hit some coasters. We usually do this anytime we arrive at opening since it is prime riding time. It was even less busy with the rain. All of the coasters were open except Powder Keg. For some reason, it can’t operate in the rain, we were told. We headed to Wildfire first. This park does a great job sticking to their 1880s theme. 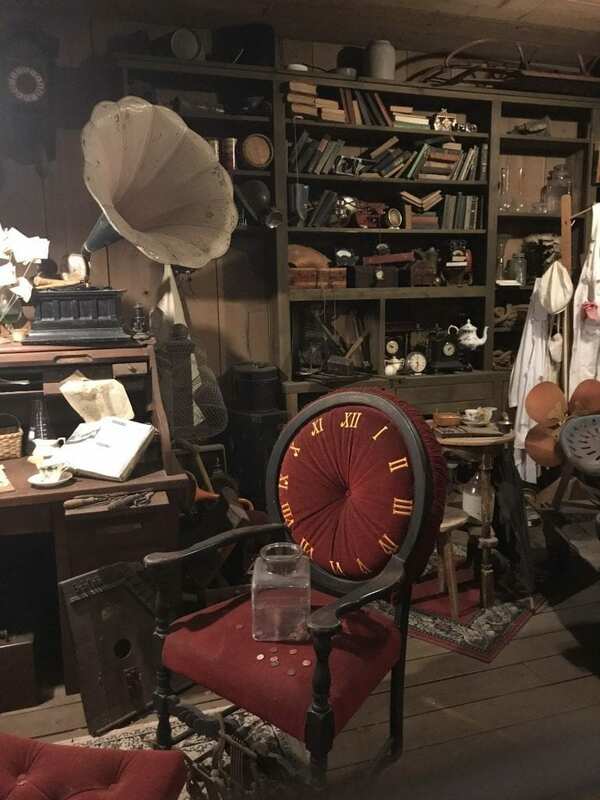 This is a room in the queue. Kristin doesn’t ride roller coasters, even though she is tall enough. She waits in line with us, and Jeff and I take turns. When Jeff took his turn, he was the only one on the whole train! That’s how few people there were. Usually, we are happy to walk onto the ride with a minimal wait. This was awesome! Here is the ride. I love the fog over the trees on a rainy Ozark morning. 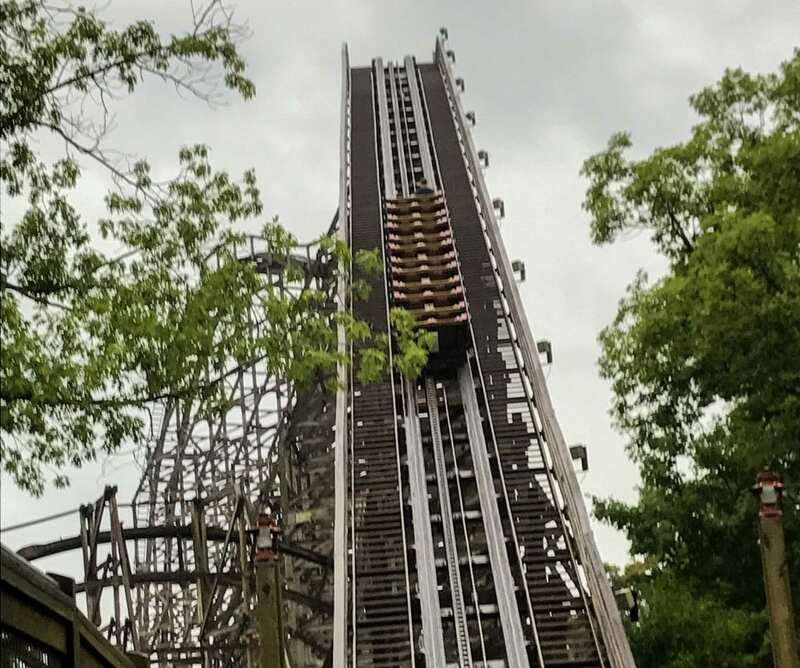 After checking Powder Keg and learning it was a no-go, we headed over to Outlaw Run, the most recent coaster addition. It’s an exceptional wooden coaster that broke records when it opened. We also walked straight on, and Jeff got a train to himself again! 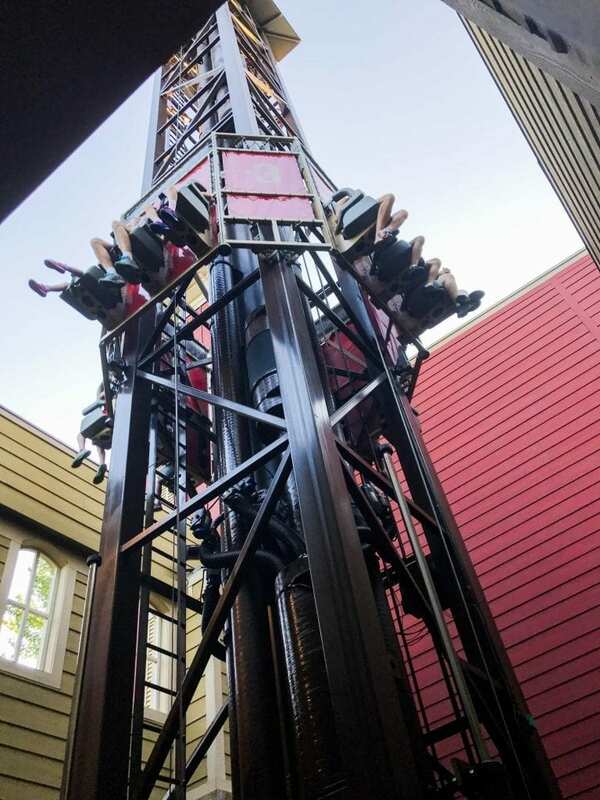 Here his is on the lift hill. It’s hard to make out, but he is in the front right seat. 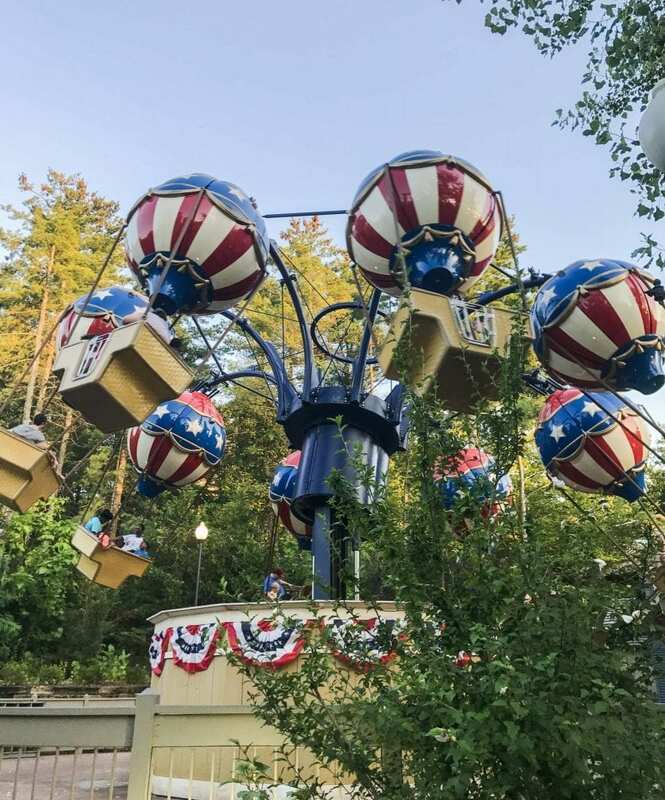 Silver Dollar City provides sample seats at all of their major coasters to help you decide if the ride is a good fit for you. Also, on Wildfire, if you sit in a seat with two seat belt straps connecting to the over-the-shoulders restraint instead of one, you’ll have more room in the chest area. This is a good tip for some of the ladies out there! 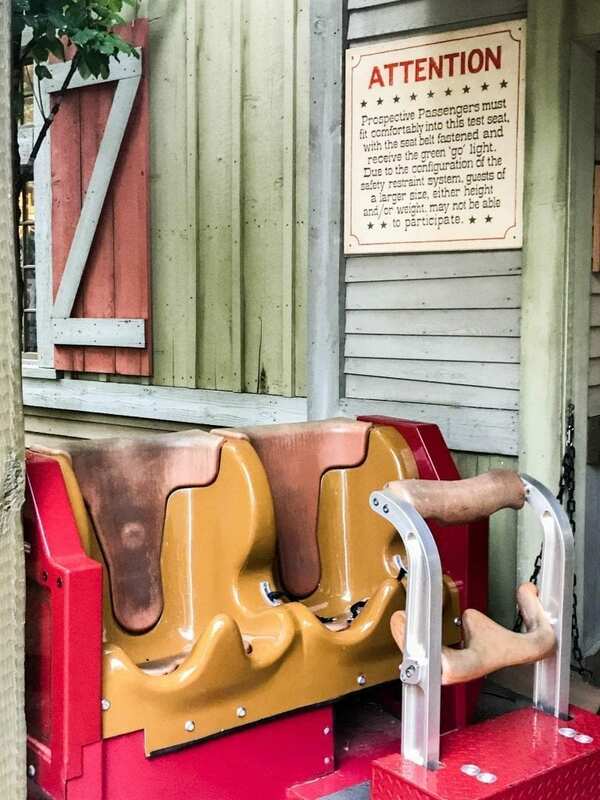 Here are the sample seats for Outlaw Run. Not all of the rides are thrilling coasters. 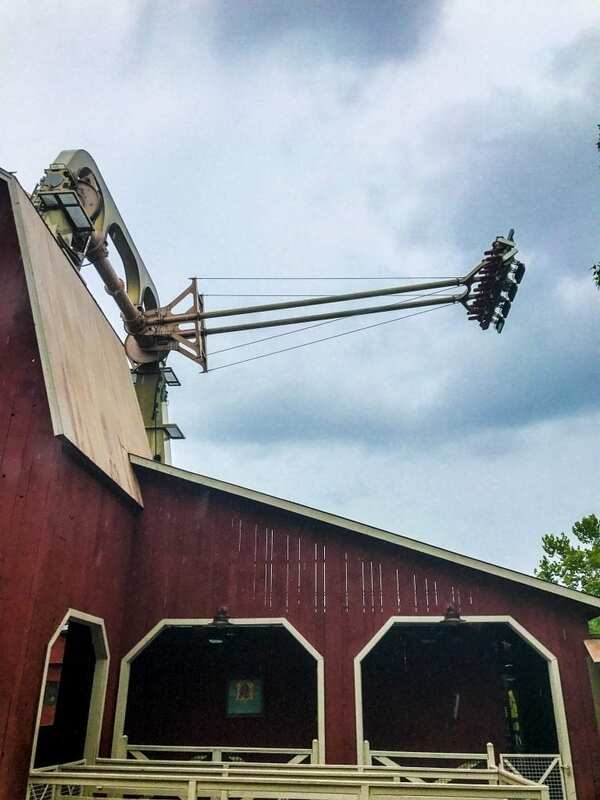 You should also make time for some other thrills, like the Giant Barn Swing. 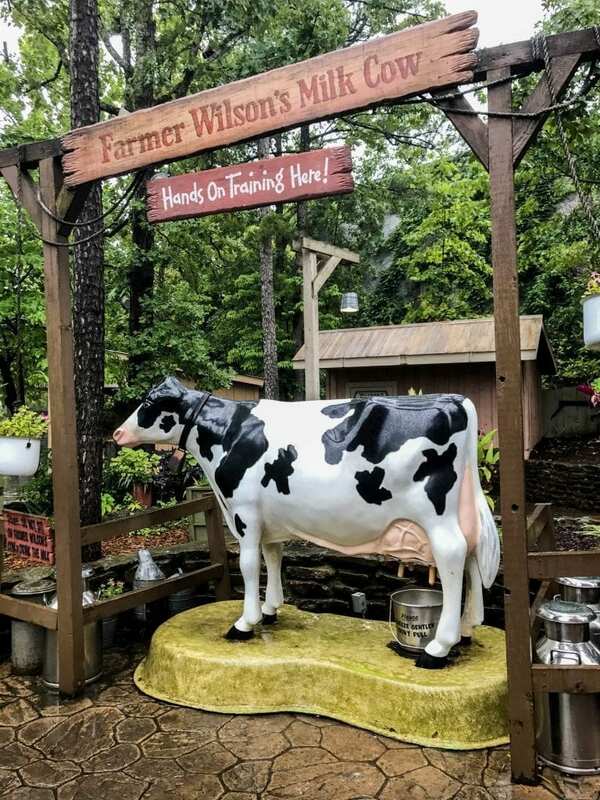 This ride is in a cute farm-themed area called Wilson’s Farm. This area has some activities for kids who may not want to ride a major thrill ride. Instead, they can “milk” this cow, play games, or pull themselves up the Hi-Lo Silos. 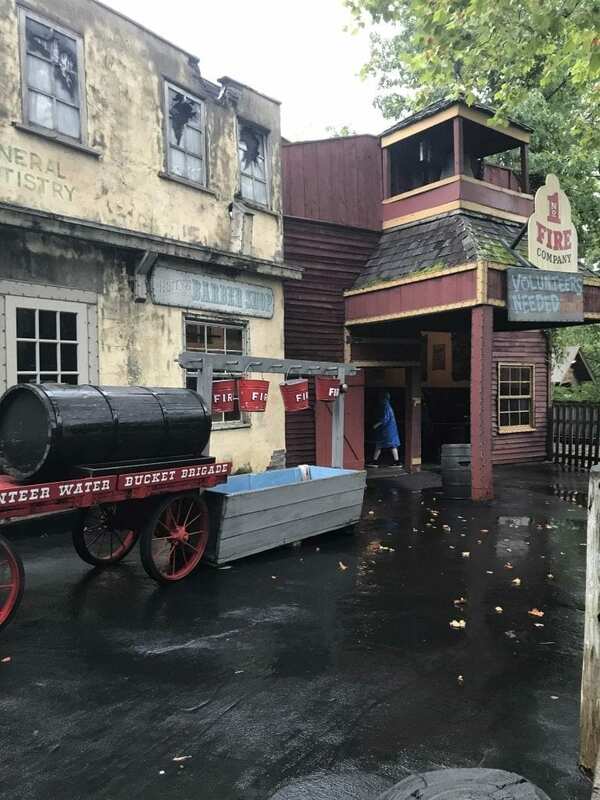 Another great area for some thrills mixed with activities and rides for kids is the Fireman’s Landing. Thrill seekers can take a shot on Firefall. If that’s too extreme, take the family for a balloon ride. There are a lot of kiddie rides for younger kids here, including a splash yard. This is good for those hot days. Just bring a change of clothes for the kids. 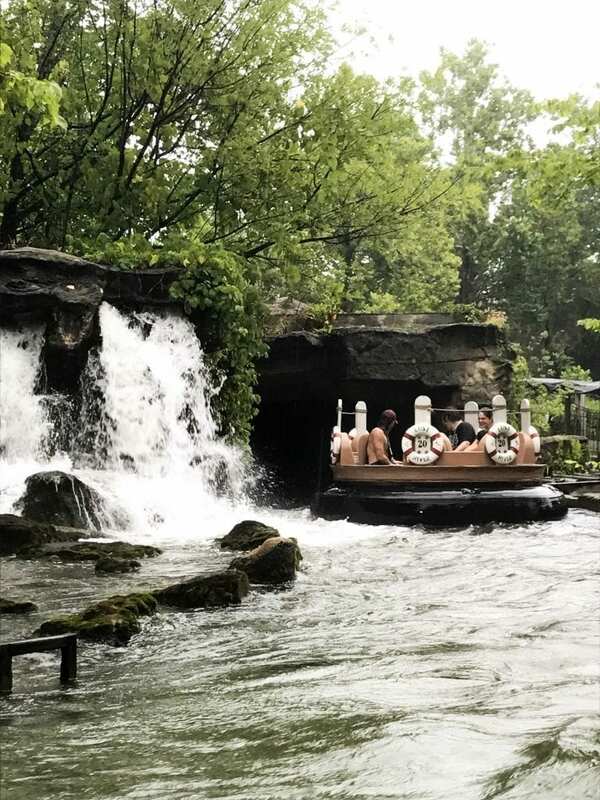 If water rides are more your speed, Silver Dollar City has some great ones, like Lost River of the Ozarks. Or maybe take a spin on the RiverBlast. Another area for kids is the Grand Exposition area. This is one of Kristin’s favorite places. 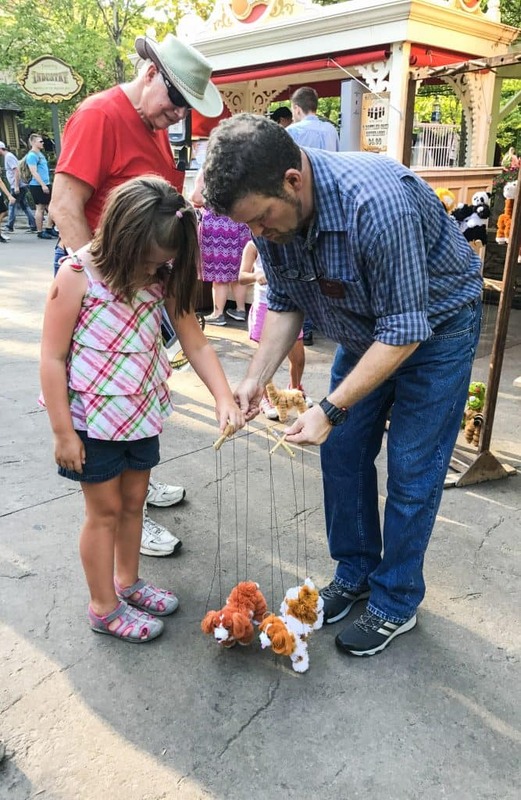 Kristin bought a puppet in the Grand Exposition. Here she is getting a lesson. 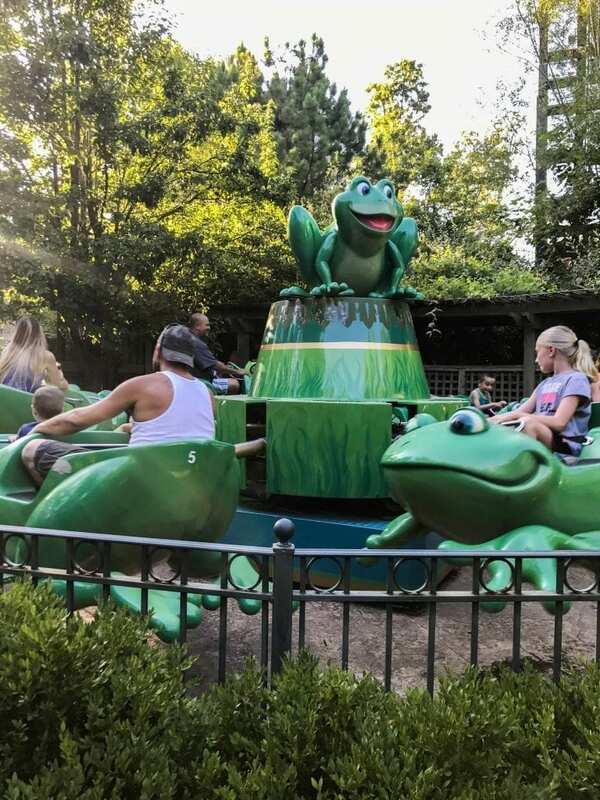 She loves to ride the Happy Frogs among many other kiddie rides in this area. Parents can ride this ride and several others with their younger kids. The park also has family favorites like a carousel and a train. In fact, there are so many attractions and rides for the whole family. 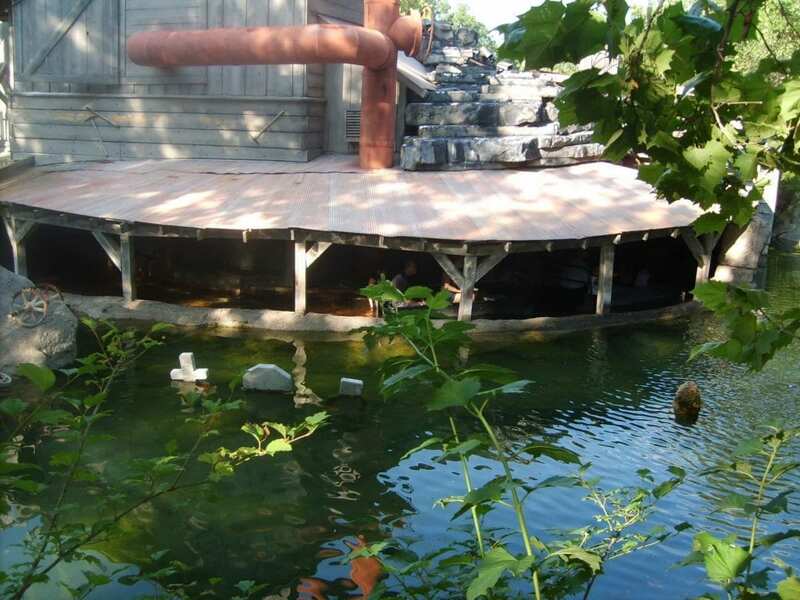 Don’t miss out on classics like the Flooded Mine, which is a dark ride on a boat in which you shoot targets. 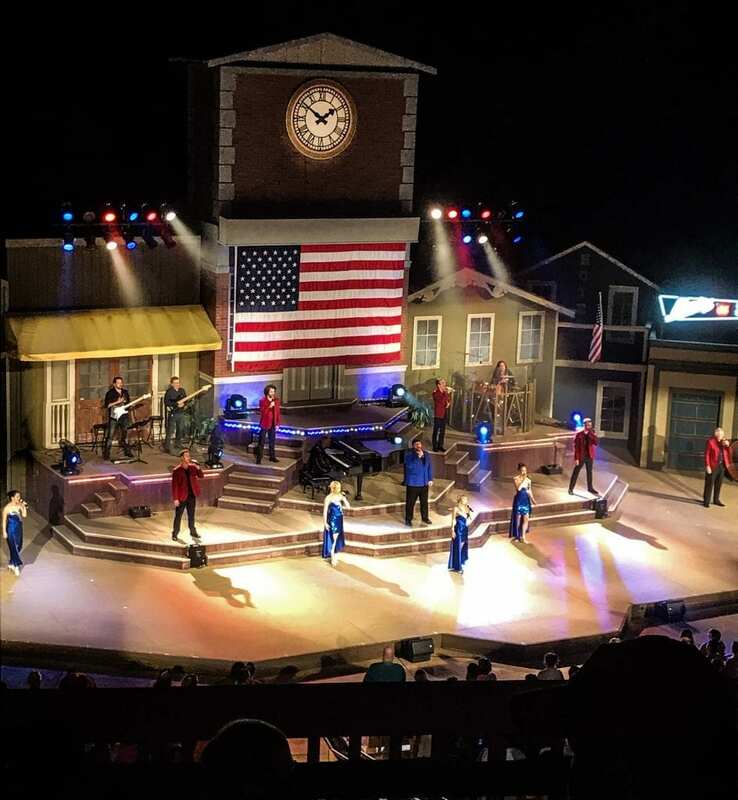 Another ride not to be missed is the classic Fire in the Hole, an indoor coaster and dark ride that tells the story of the night the Baldknobbers burned the town. They don’t make them like this anymore. 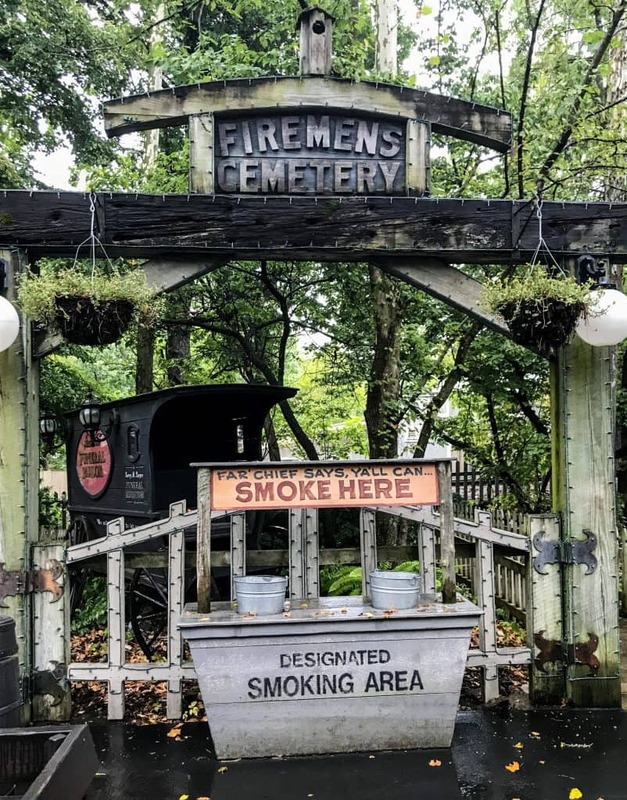 You can only smoke in designated areas in the park. Here is one of the best smoking areas; it’s right by Fire in the Hole. 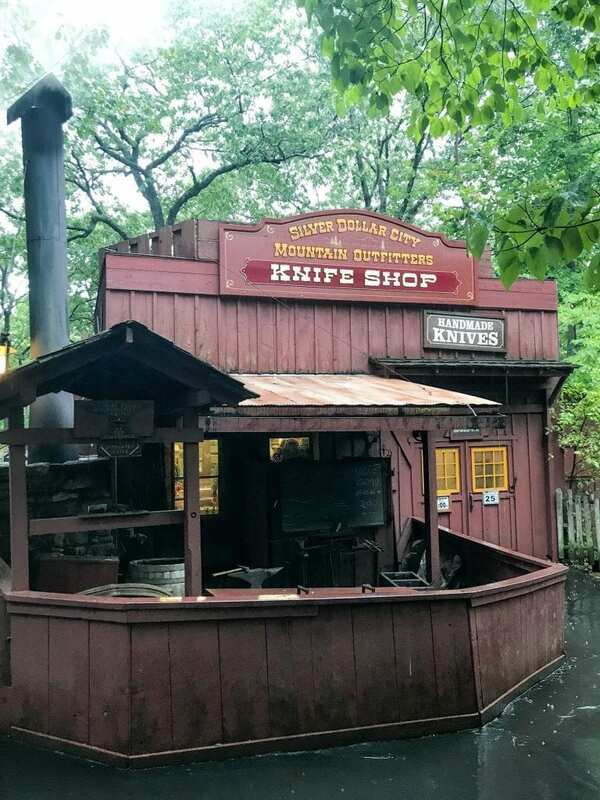 Of course, Silver Dollar City is more than just rides. The park really celebrates the culture of the Ozarks. The park has many shops and craft demonstrations. 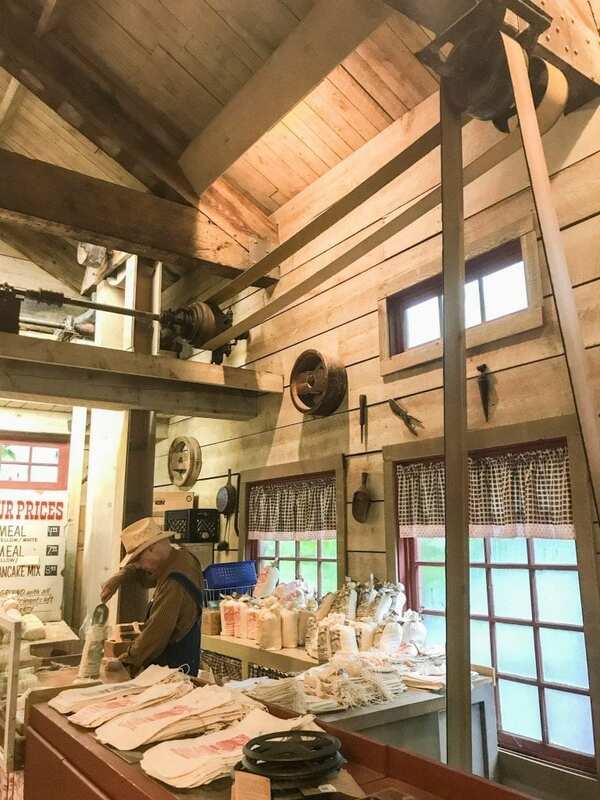 Not only can you buy great items, you can also see how they were made back in the “old days.” How about some apple butter? Or stop by the mill for some cinnamon bread. You can also buy cookie cutters and other baking items. You can even join in the fun. 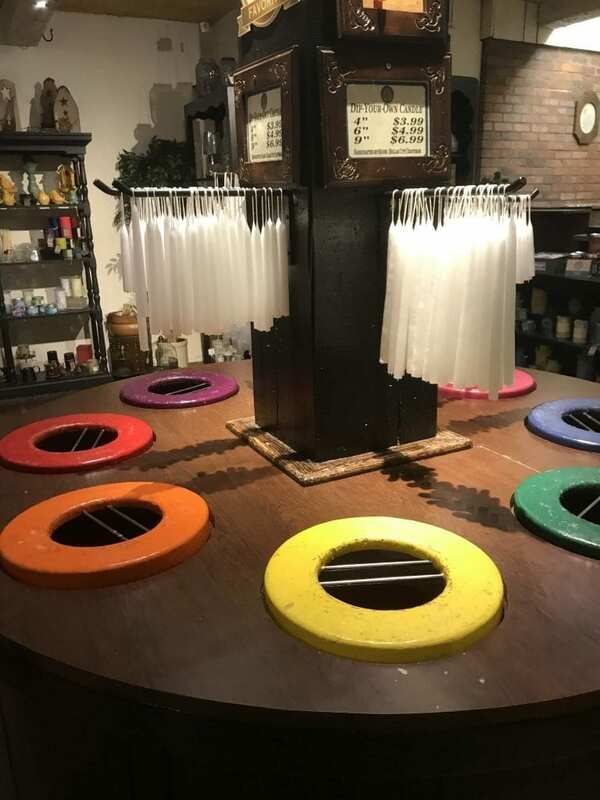 At the candle shop, you can dip your own candles. 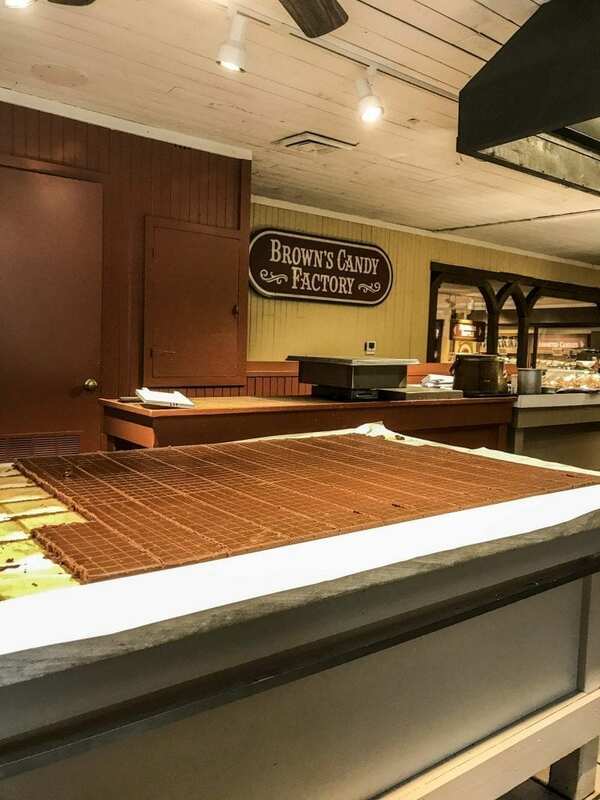 Our family’s favorite shop is the Brown Candy Factory. Here you can watch them make peanut brittle or fudge. You can also get a free sample. Yum! It’s hard to pass up a purchase here. Speaking of food, there are lots of options. 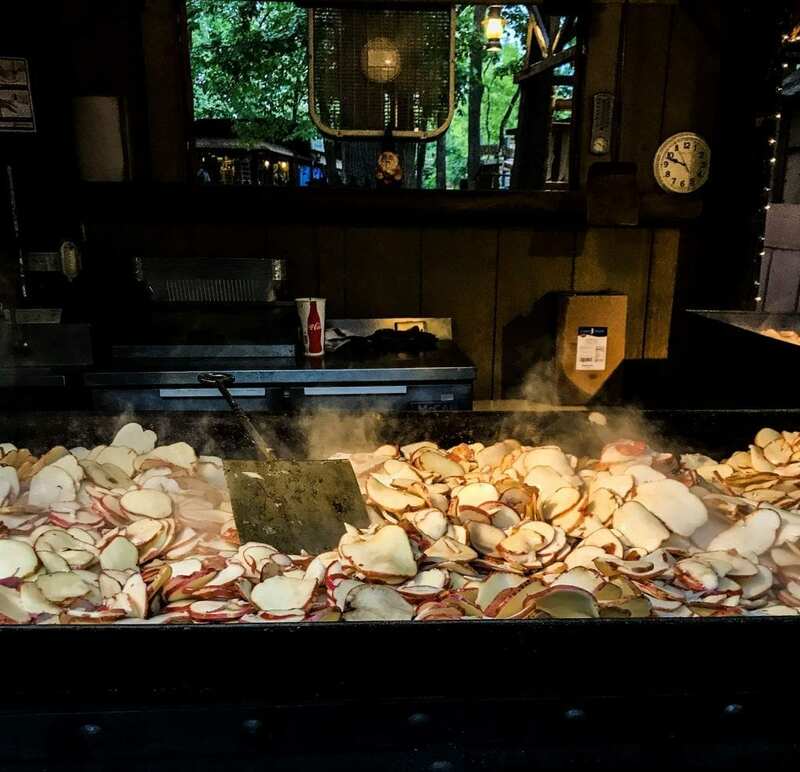 You can have typical theme park fare, or you can have something a little more Ozark-original, like a bowl of potatoes with meat or veggies from a big cast iron skillet. They just put some potatoes in the skillet here. My parents always have to grab some kettle corn, and Jeff can’t leave without a frozen lemonade. 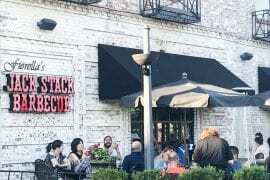 I love to have some BBQ at the Riverside. 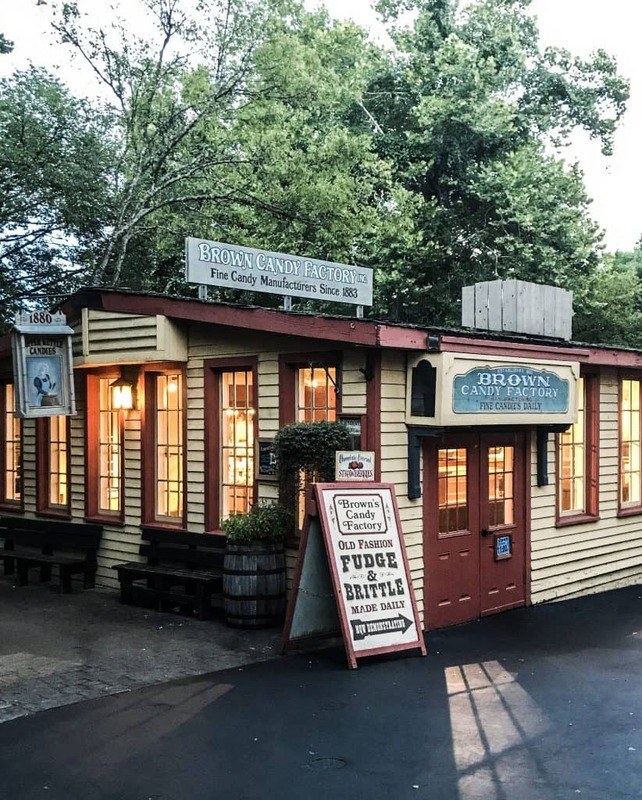 There truly is something for everyone; be sure to sample some of Silver Dollar City’s yummy food offerings during your visit. While you are there, take in some shows. You can have a grand time in the saloon. During the summer, you can find the Championship Cloggers. Here is just a snippet from their show. 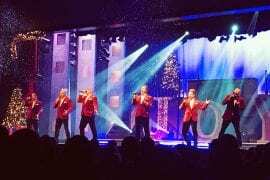 And this summer, Rockapella was performing at Silver Dollar City. They are most famous for singing “Where in the World is Carmen San Diego.” Jeff couldn’t wait to see them. It’s fun to relive your childhood. Here is just a taste of Rockapella. 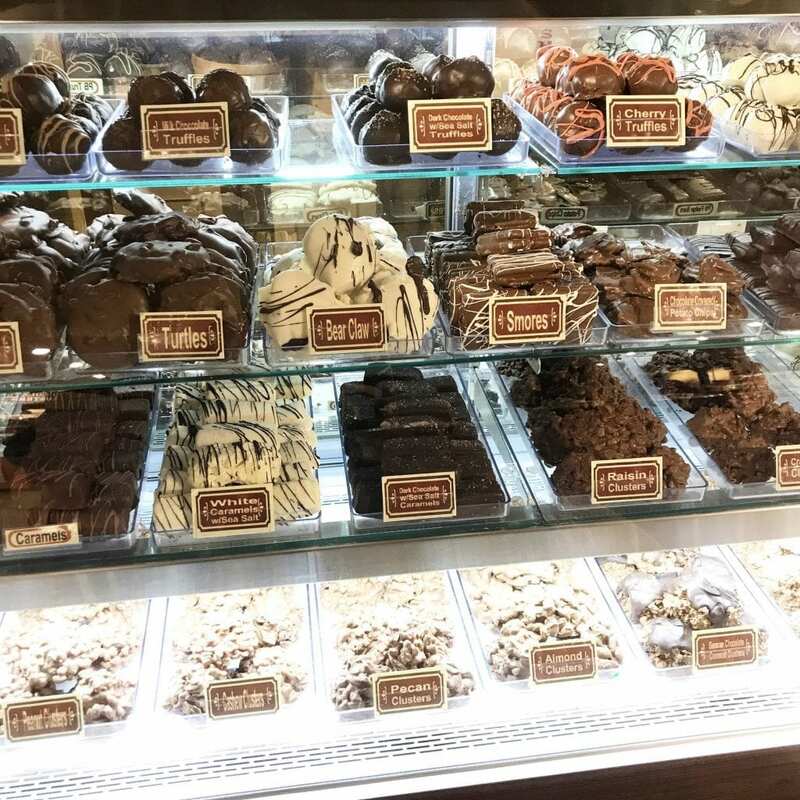 There are so many things that make Silver Dollar City amazing. 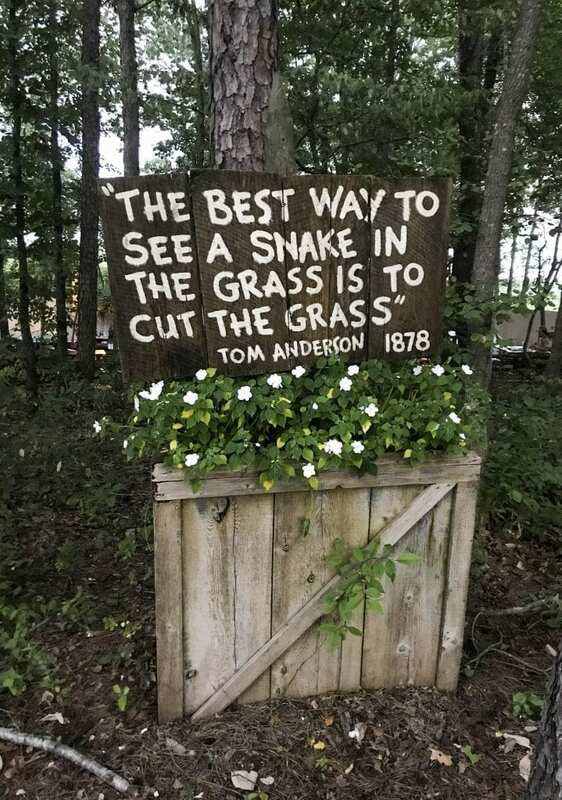 You’ll find those neat little details all around the park. Some are just beautiful, like a hanging basket walkway. Or how about a special clock to tell you that you’re in the 1880s? This one has some rather important information. You should always know where the fresh and hot cinnamon bread is. You can also take a trip down inside Marvel Cave, the attraction that started it all. Admission is included in your ticket price. 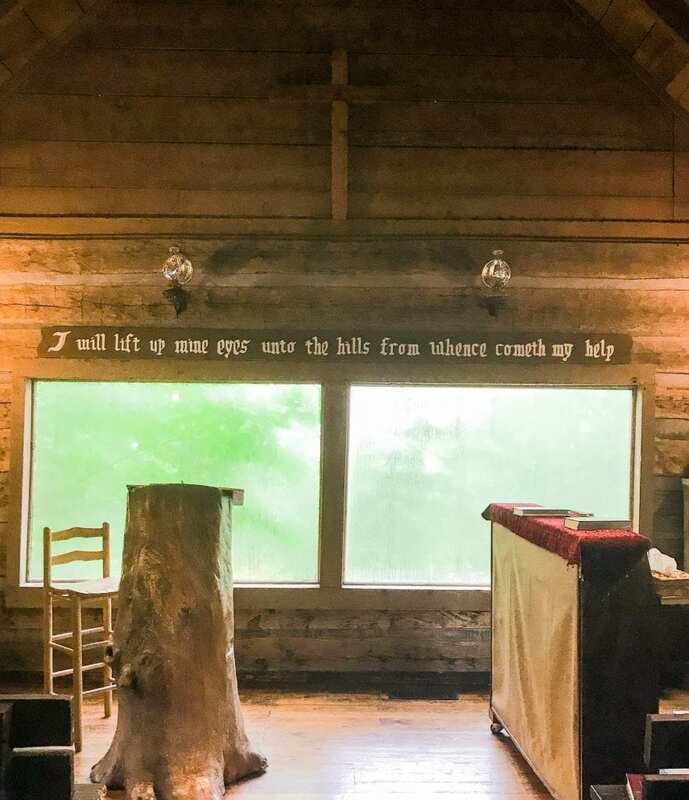 Don’t forget to visit the Wilderness Church. This is where I married Jeff. Step inside, and take a moment to reflect on the blessings in your life. I love the windows on this rainy day. You can also visit an 1880s school and write on slates while listening to the teacher explain what school was like. Or pet some animals in the petting zoo. You can also hear stories or music on the front porch of the McHaffie Homestead. Celebrate the lives of the people who settled the Ozarks. 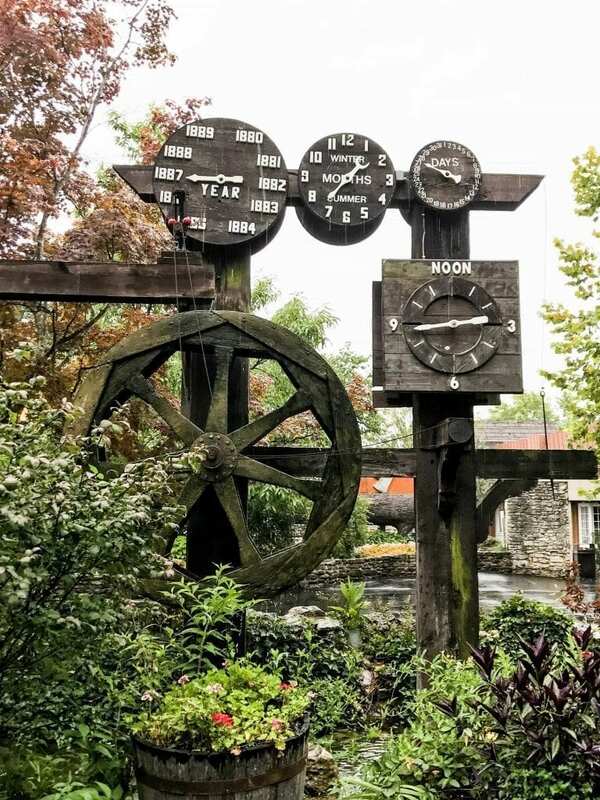 It’s fun to add a little history to your theme park experience! Summer is a great time for family fun. The park celebrates summer in America and family memories. This building also houses great opportunities to wear silly hats. During Moonlight Madness, the park takes on a family-friendly party vibe as the sun sets. The rides stay open as well as some of the shops and restaurants. Check the schedule for availability. 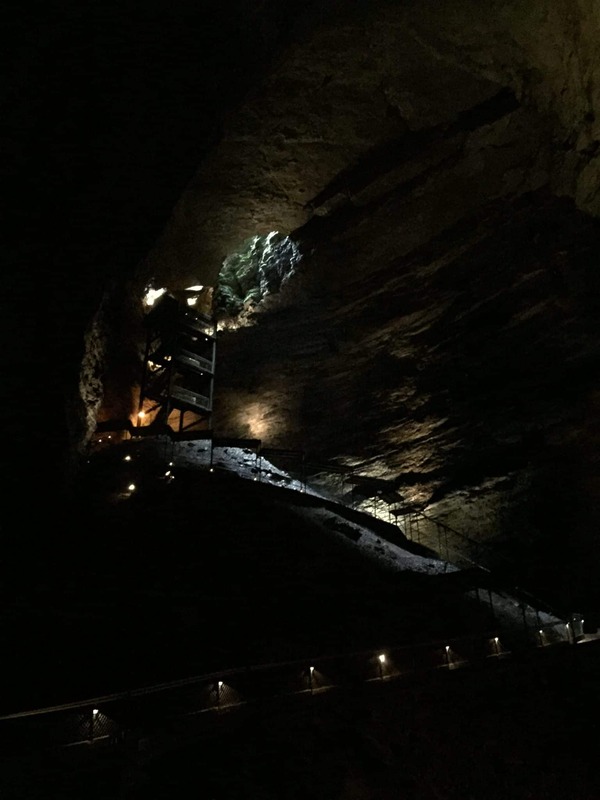 You can also see the evening show in Echo Hollow. The show is available all summer, not just for Moonlight Madness. During Moonlight Madness, the fireworks are right after the Echo Hollow show. 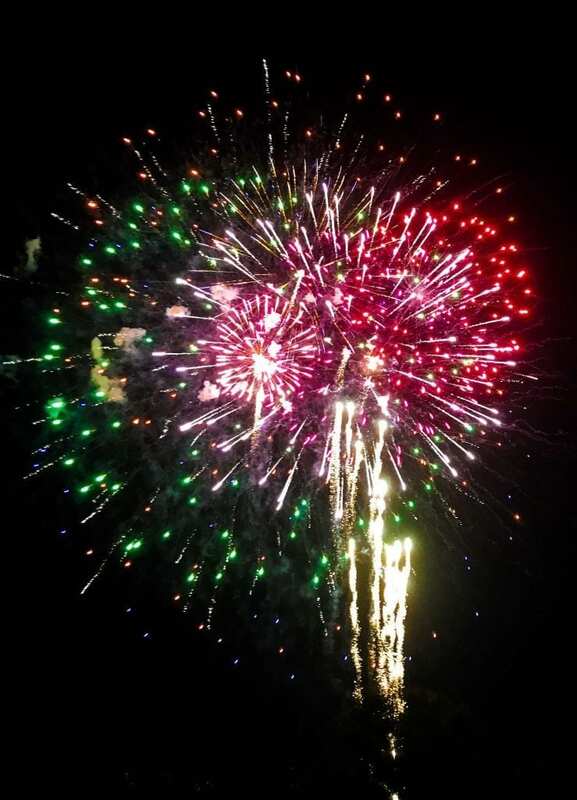 If you happen to visit during Midnight Madness on select Saturdays, you still have time for some rides and the street dance party after the fireworks. Check out Grandfather’s Mansion after dark. You can do this classic funhouse anytime of day, but I like the eeire vibe at night. 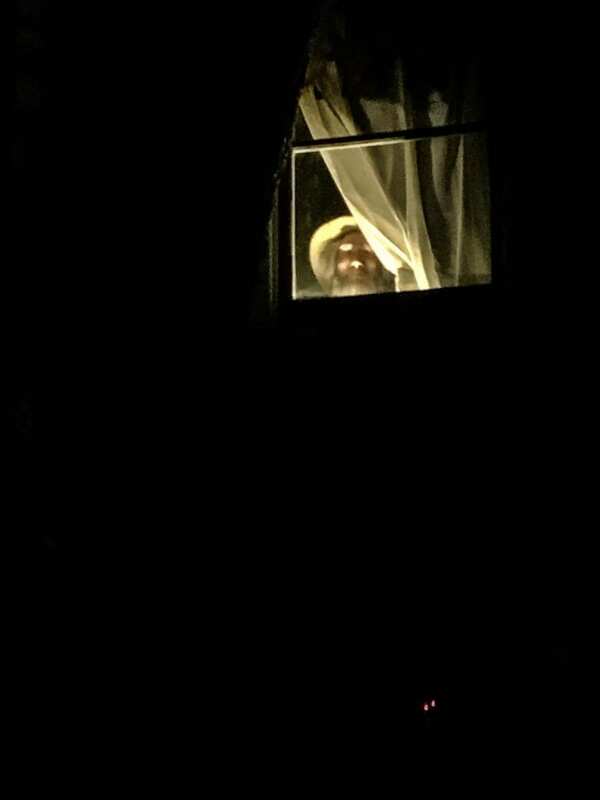 Be careful, Grandfather is watching. To wrap up our night, we headed to the ice cream parlor while an Eighties cover band played on the square. It was fun to hear Ice, Ice, Baby while we had some Cookies ‘n Cream. We had such a great time at Silver Dollar City. We hadn’t been during the summer for a couple of years, and we had fun experiencing Moonlight Madness. We more often come for their other festivals including An Old Time Christmas. You really can’t go wrong no matter when you visit. Silver Dollar City is such a special place for us. I hope you will visit Silver Dollar City soon and make memories with your family. Maybe it will become a special place for you, too! This post brings back so many great memories! Hoping to get to go back over thanksgiving break! I’m so glad! I have a lot of Silver Dollar City memories, too. Have fun on your next trip! We have Family in Branson and we still have not been to SDC! Need to make plans too soon! I never want to go in the summer because of the heat! Also, randomly my husband is from Beggs and I read you are from Okmulgee. My sister-in-law is from Joplin! Small world. It is a small world! 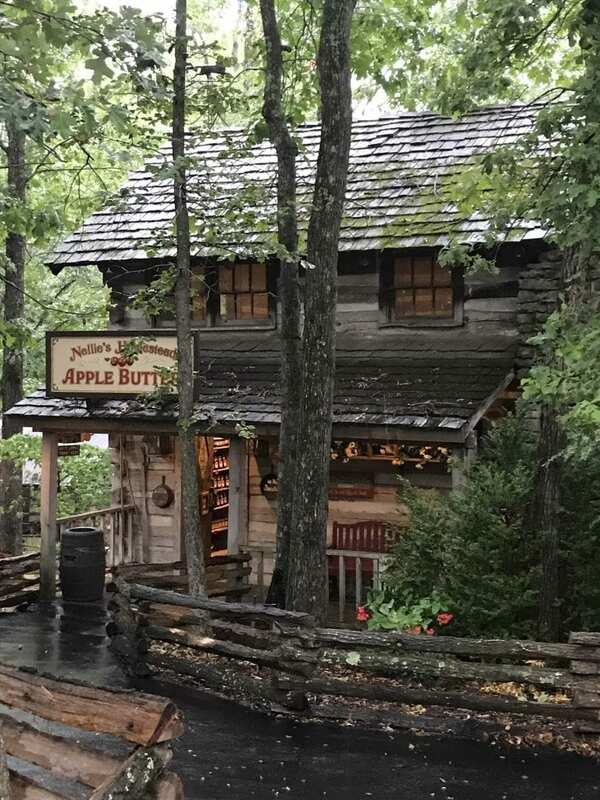 We usually don’t go to Silver Dollar City in the summer, but this rainy trip was not bad temperature-wise. Also, Moonlight Madness is nice because at least the sun isn’t beating down on you! 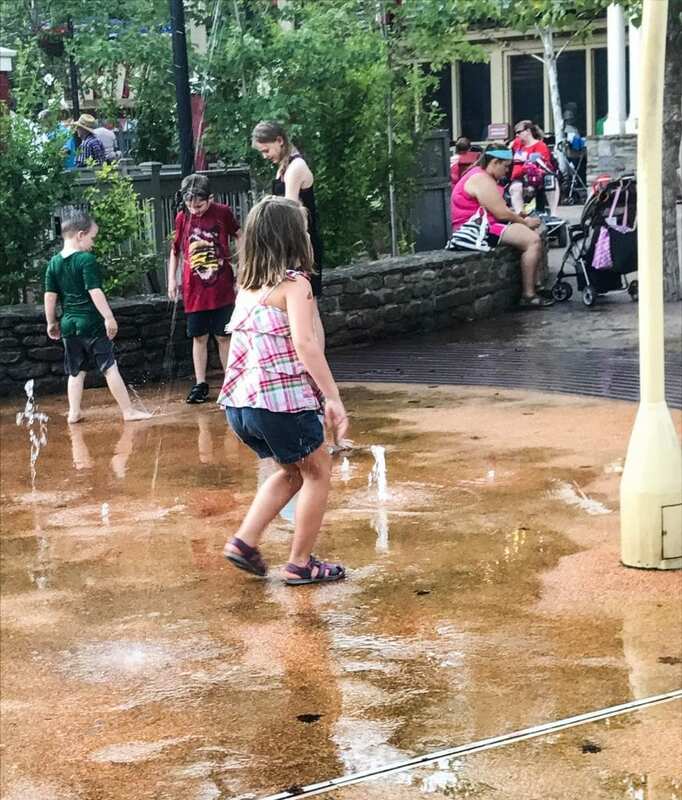 The water rides help, too! 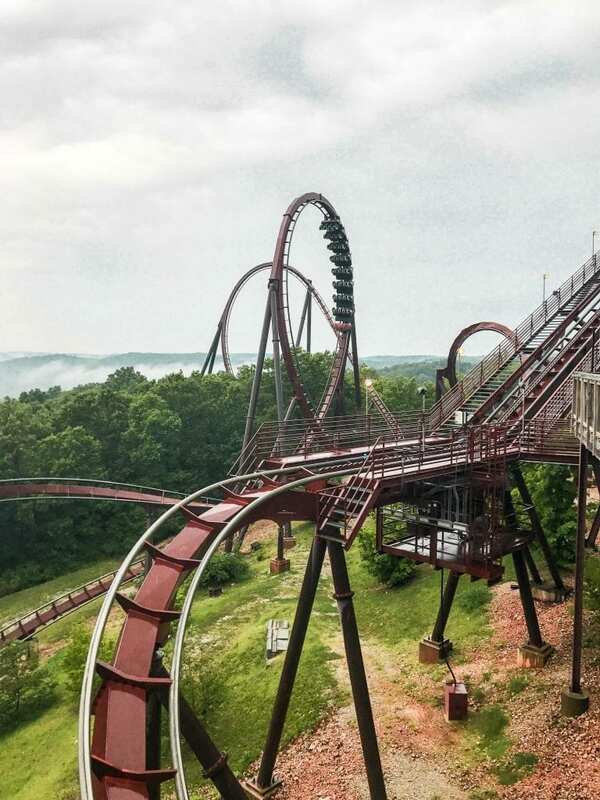 This is an amazing review; I feel like I’ve been to Silver Dollar City now! 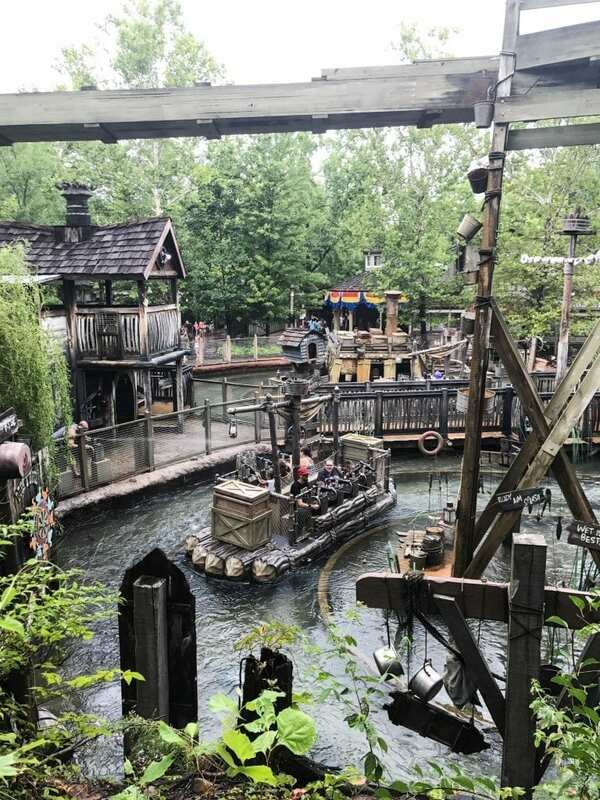 The Flooded Mine ride sounds like my type of ride and the sweets look delicious. It really is a great place! You should make plans to go! Maybe I will! 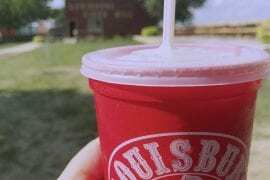 When is the weather the best in Missouri? Spring and fall are nice temperature-wise, but summer is nice for everything being open and later hours. Early June would not be too bad! Lovely pictures,i really like the sunny feel of your post, loved reading it. ? Thank you! It really is a great place to visit! This place honestly look so fun. I love the character and the old charm that it has. The rides looks awesome. The pop gun picture is too adorable! Thank you! It really is a fun place! Looks like such a fun family trip. I think my boys would like this someday and learn a ton! 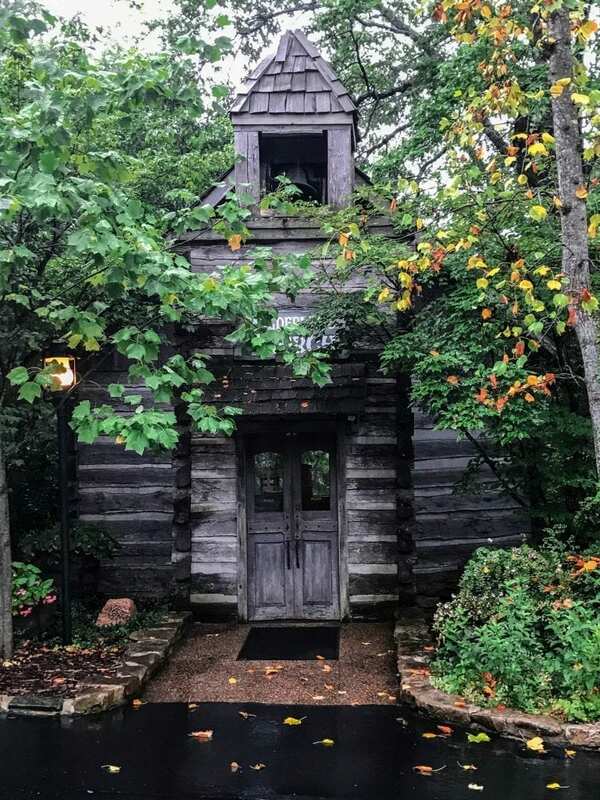 I love the little chapel where you got married. How cute is that!? Thanks for sharing! Aww, thanks! It is a great place for families, though. I hope you get to go! I love the clogging. My daughters have all clogged. Most of their clogging was faster and to Lady Gaga or something else really rocky and upbeat (only country in their beginning classes), but I’m always so excited to see clogging in shows. It’s so fun! It’s like using their feet as an instrument, and not many people know how to do it. The clogging was great! They did many different examples of clogging. I didn’t see any Lady Gaga, though! Wow. Looks like there is a ton of stuff to do there! My kiddos would love it there! Love that you included video snippets in your post. Thank you! There is so much to do. We love going there! Love, love, love this article. We are definitely adding this as a future vacation destination. My kids would love Silver Dollar City. Great pictures! Thanks! 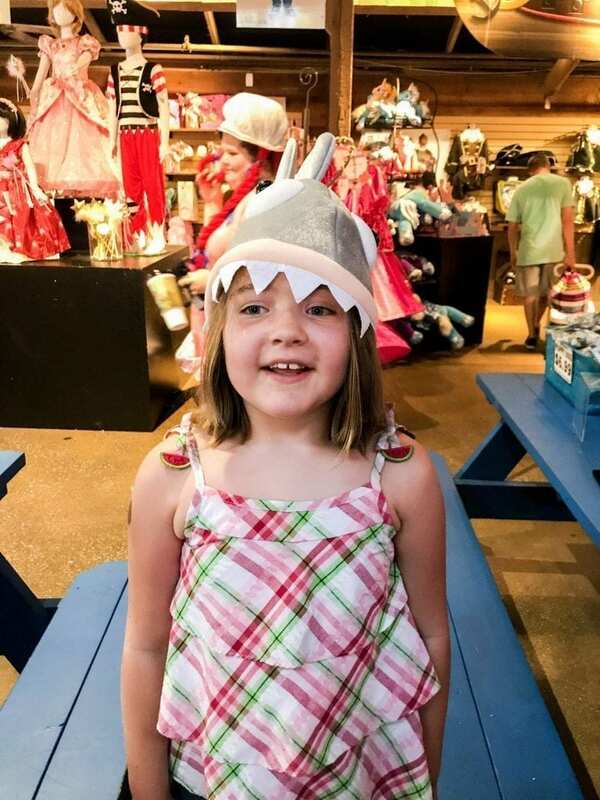 Silver Dollar City is a great place for kids and families! This looks really fun! I’ve never heard of it and am excited to put it on my family’s vacation list. Thank you! My family loves to go! I hope you have a chance to go soon! It really is a fun place to go! Looks like so much fun! That chocolate looks amazing! It is a fun place! I agree that the chocolate looks amazing! I have never heard of this place! It looks like so much fun for everyone and so many different things to do. Thanks for the beautiful pics! Thanks for stopping by! It really does have something for everyone. Such great photos! I’ve always loved little places like this so if we ever get out that way, we’ll have to make sure to go! It is a fun place! I hope you get to the Ozarks someday! 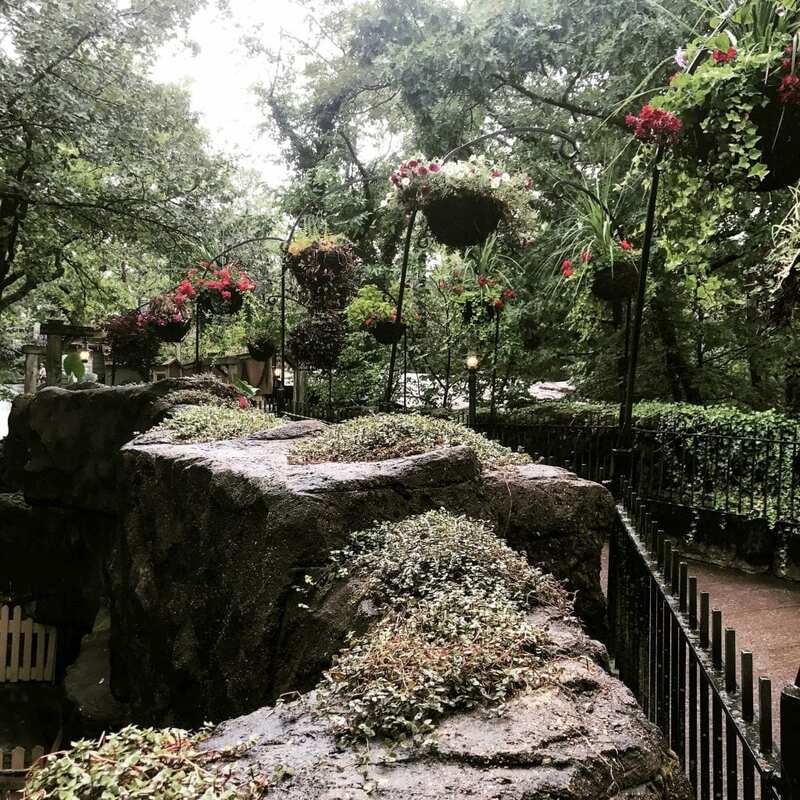 Silver Dollar City is so beautiful for an amusement park! I love all the trees and flowers. And a plate of those potatoes sounds pretty good to me! It really is a beautiful park. And the food is great! This looks like a fun place to visit. Definitely a through review! I love when there is something for those of us that don’t like roller coasters. I would definitely be more interested in the water rides, food, and candle making. 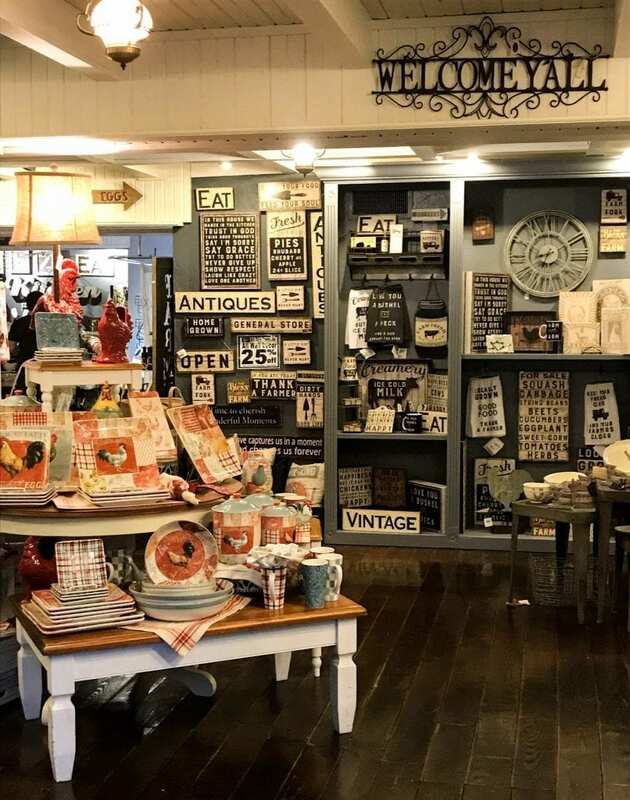 It is a great place that has a little something for everyone! It is a fun place to go! I like the rides, but I like the cow, too! It really is a fun place! You will have a great time! I so love the rustic feel of this theme park. All spots look great for photography! Visiting in Christmas time with all the Christmas theme sounds interesting, too. It really is beautiful at Christmas. I plan to do a blog post just about Christmas time! 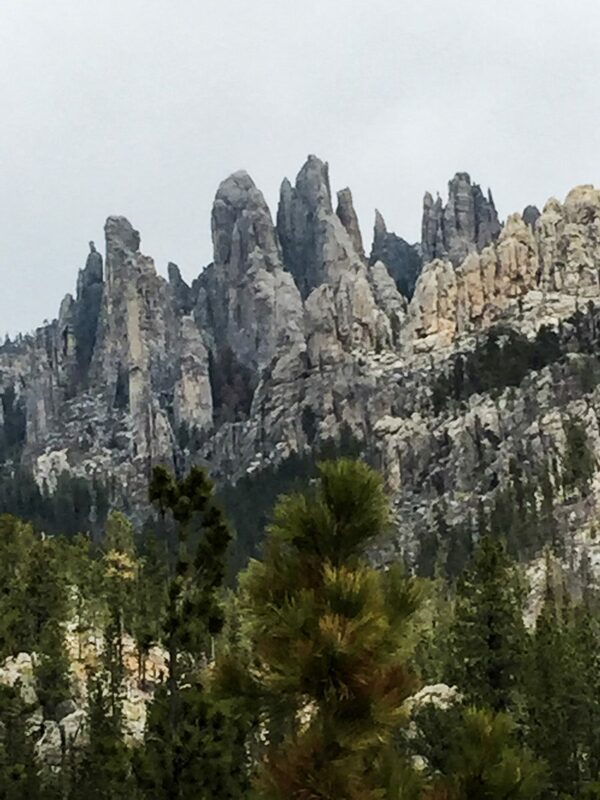 What a great place for a fun family trip! The rides look great and the ice cream looks yummy too. Thanks for sharing! I love their ice cream, especially strawberry! It’s a great place for families for sure! This place is super cute. I love historically-themed places anyway and I love how deep they went with it. Great job getting pictures on the roller coasters — that’s dedication right there!! And I agree about the fresh, hot cinnamon bread — that sounds phenomenal! 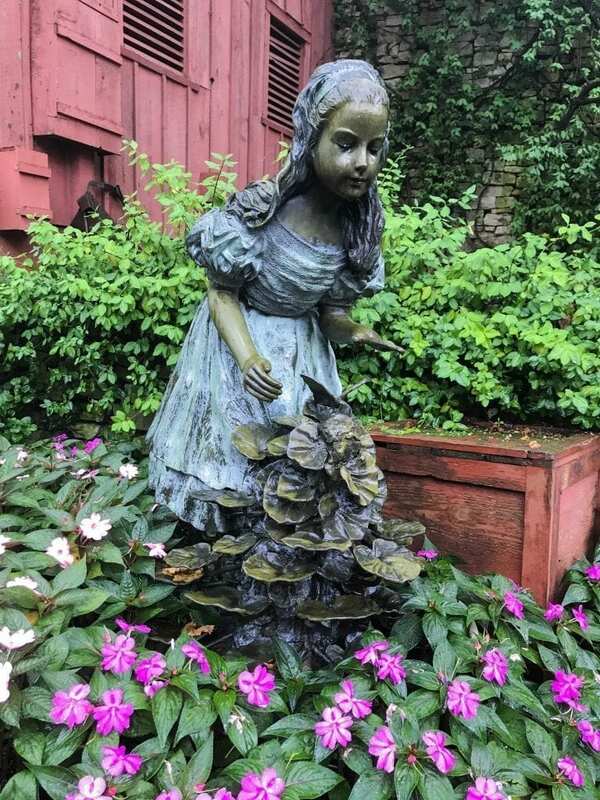 Silver Dollar City really is a wonderful place! I kind of wish I had some of that cinnamon bread right now! Thanks! Missouri has a lot to offer! It is such a great park! I’d put it on my list for sure! 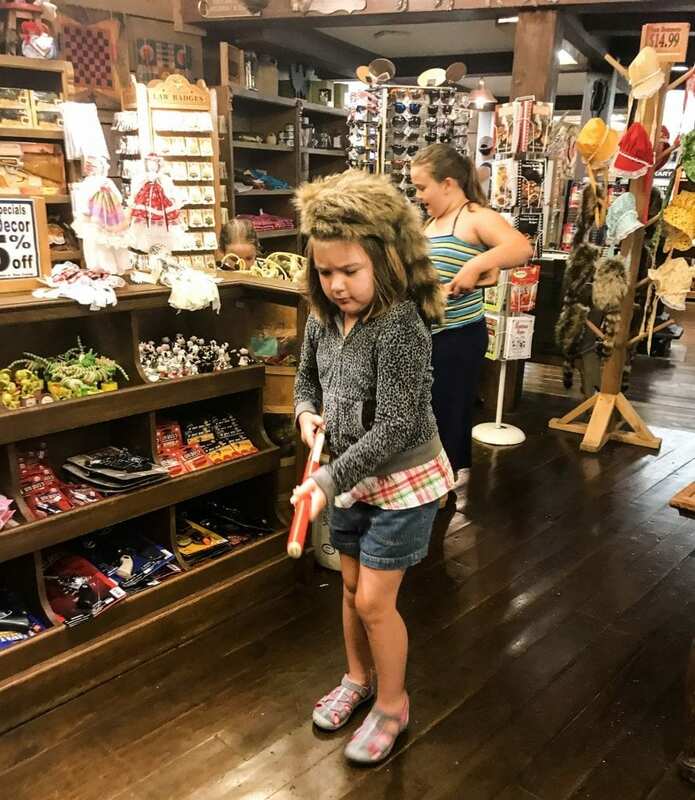 Silver Dollar City is such fun place for family summer vacation. I loved the fun activities in the city. 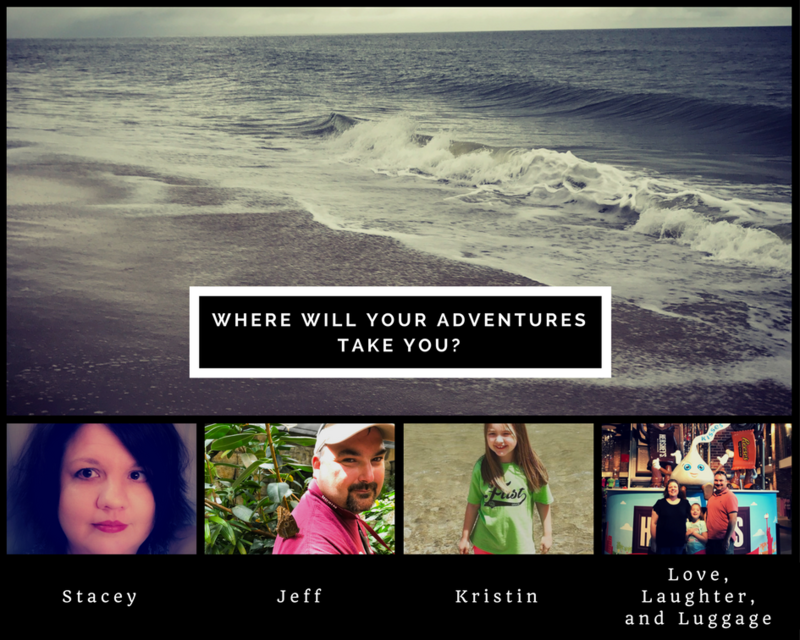 It is definitely worth vacationing there with your kids. I quite liked the idea of a spin on the RiverBlast. It really is a great place for families! A spin on the Riverblast is always fun! 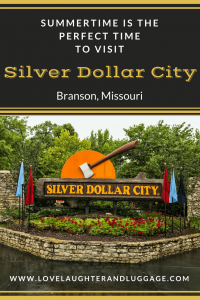 Silver Dollar City looks like a fun place for kids and adults! I like the look for Riverblast and that great big barn swing. I don’t know anything about Missouri, so this place is one to remember. Missouri is a great place to visit! I hope you can visit our great state someday!